In this article, we line-up the best Kodi builds for FireStick, Android Mobiles, Windows, Mac and other Kodi compatible devices. Most of these builds here work on both Kodi 18.1 Leia and 17.6 Krypton. It’s been some time since Kodi 18.1 was released and it is safe to say that the Leia version has finally taken care of the stability issues. Almost all the builds that were earlier not supported have been updated and work just as smoothly on Kodi 18.1 as they do on Kodi 17.6. In fact, some developers have even begun to release Kodi 18.1-only builds with no supported iteration for 17.6. You may run into some glitches here and there, but for the most part, things look fine. We have been testing these builds regularly and keep updating this post whenever the need arises. We would also love to hear about your experience. Please feel free to fill us in through the comments section below. Kodi Builds help in setting up Kodi by turning it into an ultimate streaming center. But what is Kodi? Technically, Kodi is a free media center software that can be accessed across various operating systems. The application allows users to consume streaming media like movies, TV shows, live TV, and sports. Well, this technical definition of the best Kodi builds will only do justice to techies who already understand their way through this great piece of app. In a layman’s language, think of Kodi as an unfinished house basement. There are frames, a strong foundation, and trusses that hold the roof. They are the basis that will hold everything else in your house. You will use the foundation to store items, use the walls for interior design, and the roof to put up a nice ceiling. Kodi can be defined in a similar manner. The application will host components and applications that you will be using stream media. How Can You Use Kodi? You already understand what you can get from Kodi. However, you may be wondering how to get it. At the moment. Kodi is available in these operating systems; Android, Windows, Linux, iOS, and Mac OS X. This means that you can install Kodi on any personal computer and stream all your favorite media. Moreover, it means that you can install Kodi on your Android phone, tablet, or iPhone and enjoy watching content therein. It doesn’t end there since most TV streaming boxes use Android at their base OS, you can install Kodi in them and enjoy streaming FREE content. No more monthly subscription fees! Examples of such TV boxes include Fire TV Stick and Amazon Fire TV. I would recommend you get an Amazon Fire TV since it is inexpensive, powerful, and with better processing power. 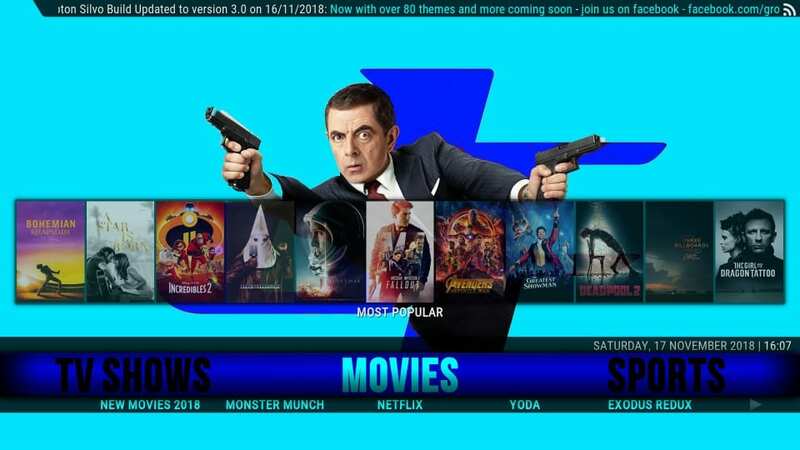 Apart from Kodi Builds, you may also need Kodi Add-ons and Skins (Check Best Kodi Addons 2019). If you don’t know already, Kodi Add-ons are small applications that extend the functions of the main Kodi software. They help you turn the software into a streaming powerhouse. Depending on their intended functionality of the addon, it will help you access live sports, free movies, TV shows, and pay per view content. On the other hand, Kodi skins help you customize and modify icons, menus, and shortcuts. Think of Kodi skin as your smartphone’s wallpaper apps. With them, you will end up getting a personally tailored Kodi setup. Some of the popular skins include Transparency, BOX, Mimic, Aeon Nox, Pellucid, Nebula, Amber, and Confluence. However, Kodi Builds offers you a one-click option of installing all these add-ons and skins that comes with plenty of content. By going the Kodi Builds way, you will save a lot of time that you might have otherwise used in searching and selecting specific add-ons. In my experience, using Kodi Builds is the easiest way to download and stream content quickly and sufficiently. Which is the Best Kodi Build? I am frequently asked, what is the best Kodi build I should use. Honestly, there is no easy way to answer this question. This list has some great builds and picking one over the other could be challenging. Furthermore, every user has their own preferences which determine their choice. That said, if I were to put a finger on one build, it will be No Limits Magic Build. I like this build. However, I am making an objective choice based on popularity. 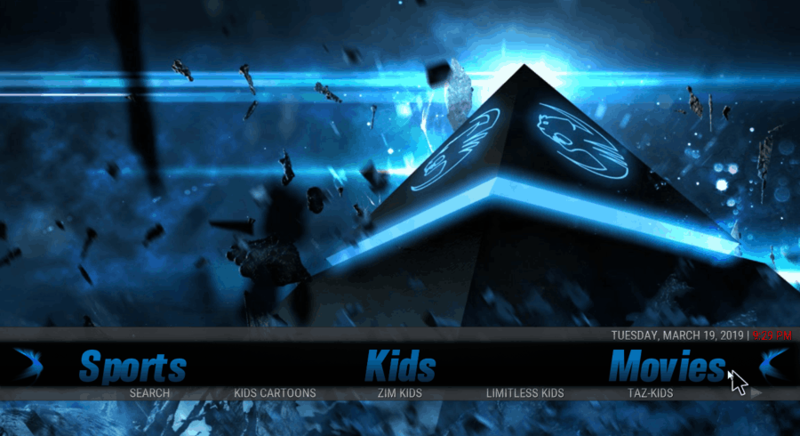 No Limits Magic is the most widely used and most downloaded of all the Kodi builds. It is a thoughtfully designed build that caters to all kinds of Kodi users. Whether you are a new or old user, heavy or casual streamer, have a high-end or low-spec device, No Limits Magic Kodi build is for you. 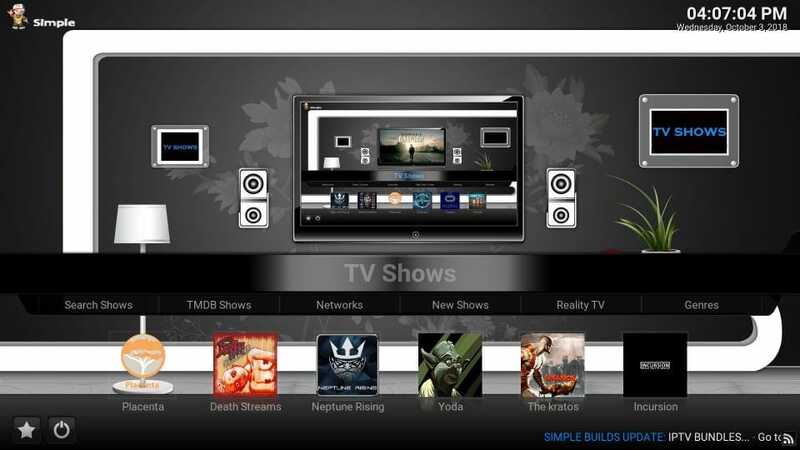 The build also packs numerous high-quality video addons for all your streaming needs. Its uncomplicated and fluid interface allows for an effortless, user-friendly experience. In simple words, it is a must-try Kodi build. Now that you are protected with the best VPN, you can start installing Kodi builds with confidence. To start with, here’s the list of top 30 Kodi builds. 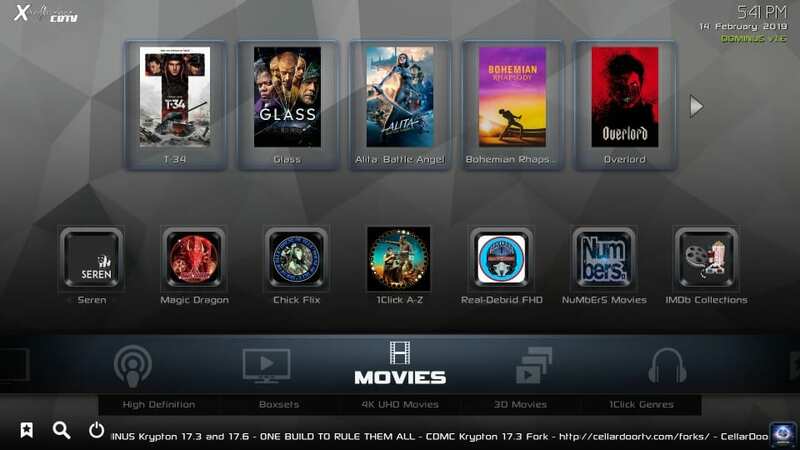 Unlike the other Kodi Builds on the list, Titanium Build was launched recently. However, it has been equipped with a whole world of entertainment making it stand out among top Kodi Builds. 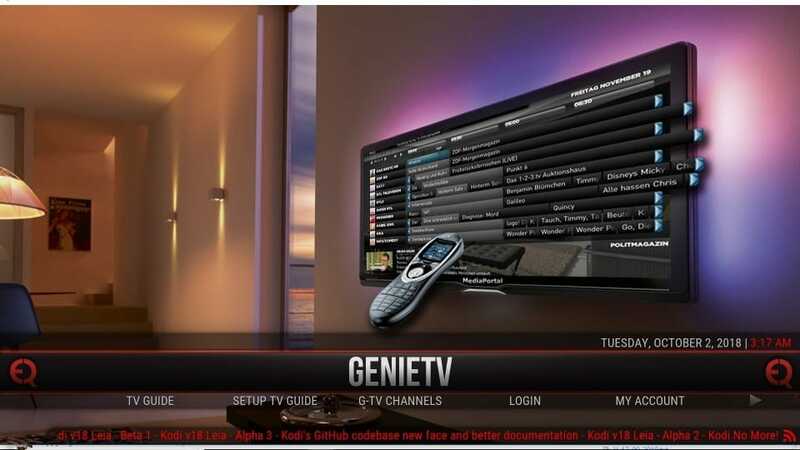 With this build, you will get to enjoy Live Sports, Live TV, Movies, YouTube, Kids Zone, Sports Replays and Highlights, and Live TV for the major UK and US cable TV channels. In order to offer you with such a wide field of entertainment, Titanium Build features numerous add-ons like DeathStar, Supremacy Sports, Skynet, Supremacy, Yoda, Maverick TV, Gaia, Placenta, Wrestling on Demand, SportsDevil, Deceit, Anubis, and Incursion. Its user interface is minimalist and clean for better user experience. Moreover, this build has been receiving consistent updates to ensure that it stays up-to-par with the present online media streaming world. If you are a Spanish user looking for the best Kodi Build, then the Titanium Build will perfectly suit you. This doesn’t mean that it can’t serve the interest of other users. Actually, it was made to accommodate the English users from the go! 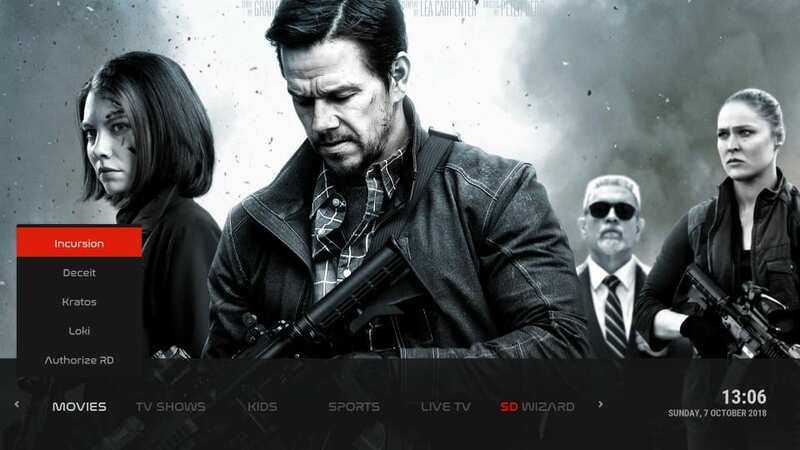 Most Kodi users have praised the No Limits Magic Build for its tons of capabilities when it comes to online entertainment. At the moment, it stands among the most comprehensive builds for Kodi. The fact that it features the Aeon Nox 5: Silvo Skin offers you with a futuristic appearance. Well, you will never get to understand how Kodi skins influence your streaming experience until you get your hands on this Kodi Build. In order to watch regional restricted TV shows and movies, you will need to invest in a good VPN. 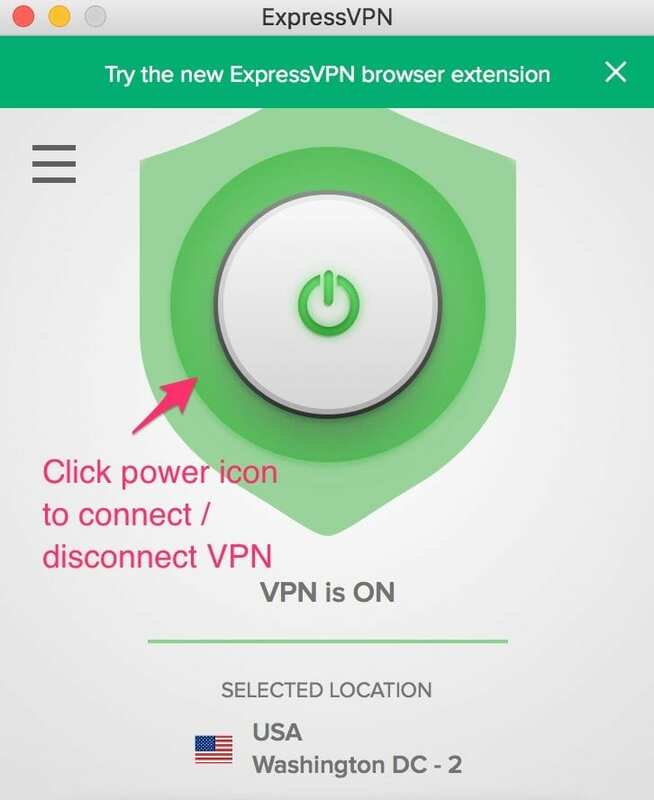 I have already talked about the usefulness of a VPN when using Kodi and went a length further to recommend the best VPN for utmost anonymity and personal safety. To enhance your content streaming experience, No Limits Magic Build receives frequent updates where the non-working and old add-ons get replaced with new ones. Among the most popular add-ons in this Kodi Build include Monster Munch, Neptune Rising, Nemesis, Sports World, Halow Live TV, Yoda, Maverick TV, cCloud TV, Copy & Paste, Pulse Fitness, Sports Devil, The Magic Dragon, and Uranus among others. With them, you will get to enjoy unlimited music from both UK and US like the old jazz song. You will also stream movies, watch TV Shows, enjoy a whole world of sports, and bring free Live US and UK TV channels in your house! 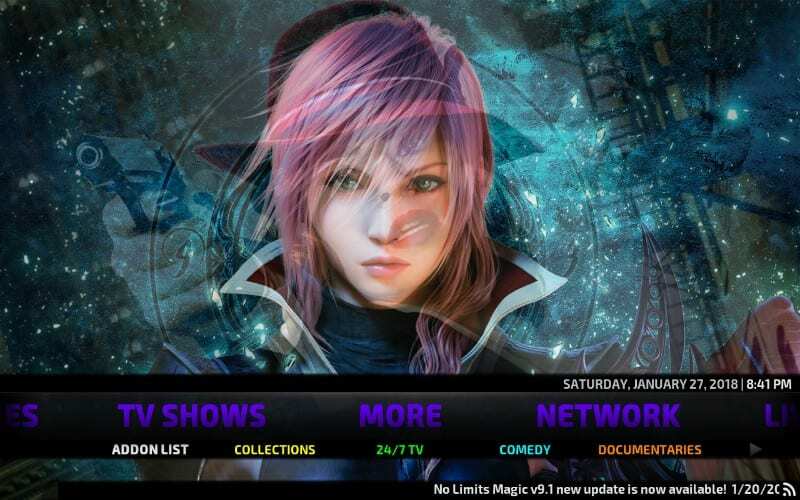 Check out how to install Kodi No Limits Magic build on PC as well as Fire TV/Stick. 1Amazing is one of the best designed Kodi builds I have seen. One look at it and you are bound to get impressed. The layout of the build is unique and very user-friendly. The build looks neat and allows incredible ease of use and navigation. The build clearly has a well thought out structure to enable quick access to movies, shows and also various other elements of the interface. The menu bar is placed on the top with options to instantly select Movies, TV Shows, On Demand content, Add-ons, Favorites, Settings and Power settings. 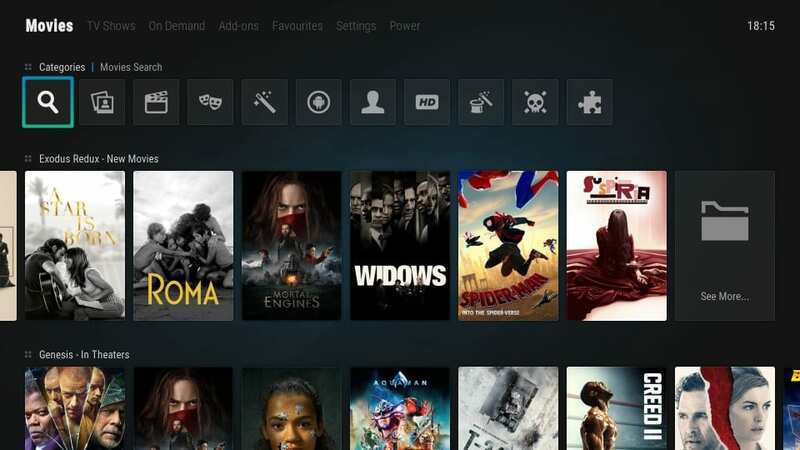 When you select a streaming related option, such as Movies, the rest of the interface is populated with relevant options. The build also picks the top addons for the selected menu item and lists out the featured content within those addons. You won’t find all the addons on the home-screen of the build though. 1Amazing Kodi build packs a good collection of popular and working video addons like Exodus Redux, DeathStar, Monster Munch and more. 1Amazing works smoothly, but you must allow it some time to load the content during the startup. It may also be a bit slow on FireStick or other low-spec devices. However, it isn’t extremely slow and you might get used to it. There aren’t many options for Kodi Leia. Even if there were, I might have still preferred 1Amazing Kodi build over others. Yes, I like it that much. Most people want to install Kodi on their devices so that they can watch free music, TV series shows, movies, sports, and stream live sports. The Misfit Mods Lite Kodi Build will give you all of these. 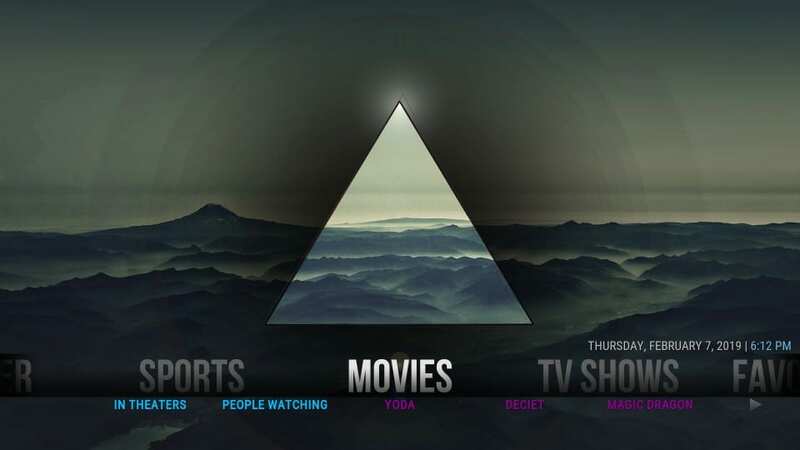 It is actually one of the best and top Kodi builds in the market at the moment. This build brings a wide array of video streams that include multiple sub-categories in each of its sections. The Misfit Mods Lite comes with wonderful add-ons like Deathstar, Monster Munch, Rising Tides, Yoda, Maverick TV, Supremacy, At the Flix, cCloud TV, Loki, sports devil, and The Magic Dragon. What an amazing way to enjoy a ton of free content from all over the world? As a user, you will get all these in one package. Most users have acknowledged that this build tops the list of top Kodi builds when it comes to all-in-one Kodi Build options. Before you install any build, read the important section below to learn the risks associated with the Kodi builds. Streamline is another quality build that works flawlessly on Kodi 18.1. Part of the Whiz Kid Wizard, this build brings to you a decent rally of video add-ons for all kinds of streaming needs. 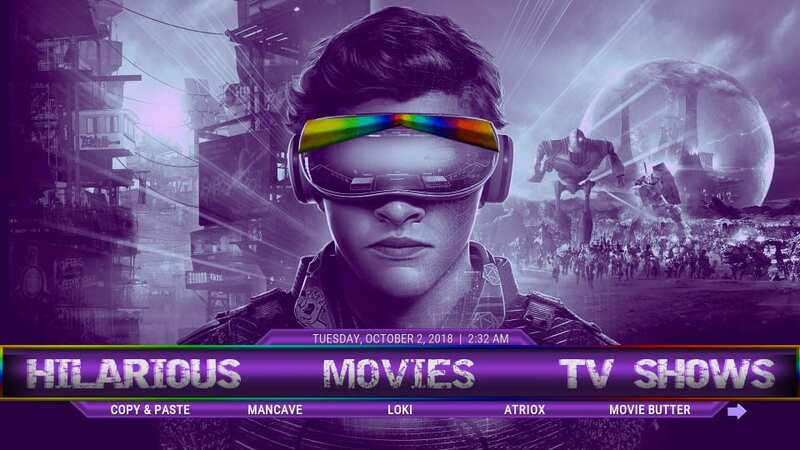 You can play your favorite movies and TV shows, live TV, sports streams, and a lot more through the popular add-ons like Exodus Redux, The Magic Dragon, Mancave, Supremacy, Supremacy Sports, Maverick TV, and plenty others. The biggest draw of this build is its size. It is a lightweight build that offers great performance on all Kodi devices, including the ones with low RAM and processing power, such as FireStick. What I also like about Streamline Kodi Leia build is its simple, neat and easy-to-get-used-to design. The build lays out the important elements for quick access without any fuss or frills. Even if you are a first-time build user, you will get the hang of it in no time. The developers have carefully chosen the font type, style and size to afford complete legibility. Despite the small size, Streamline doesn’t miss out on a single important feature. As I said, you can stream just about anything you want. All in all, Streamline is a nice Kodi 18.1 build to have. 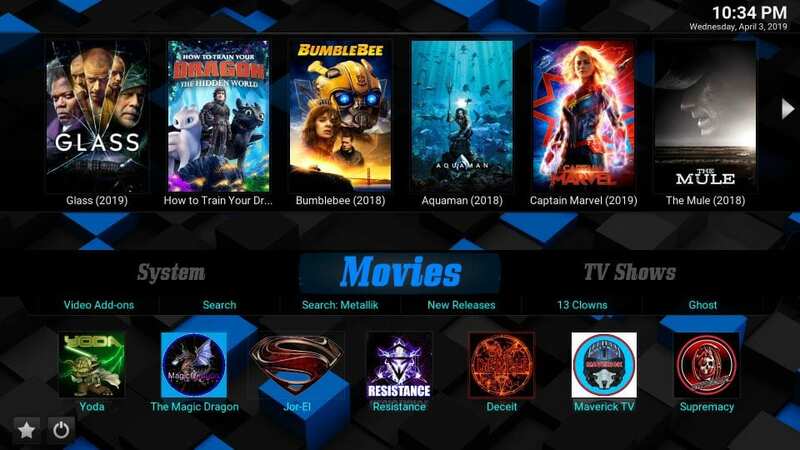 Slamious Kodi build comes from the very well-known source One Nation Portal. Even though One Nation builds collectively are already the part of this list of best Kodi builds, I had to add Slamious separately. I believe it is one of the finest Kodi builds you would come across these days. This moderately sized build works perfectly on all devices, even the ones with low specs. The Slamious build also packs a decent collection of video-addons that let you stream just about everything you want. The user-friendly interface lets you get started quickly through a variety of streaming options right on the home screen. All in all, it is a great build to have and you should give it a try. I am confident you will like it. Xanax Kodi build is the offering from the same developers who designed Durex build. The once very popular build is no longer functional. However, it was one awesome build and many users who used it are still looking for its alternative. Thankfully, there is one now – Xanax build. The Xanax build has almost the same interface design and layout as Durex. It is almost the same size too. Even though I wouldn’t call Xanax a clone of Durex Kodi build, it is almost alike. 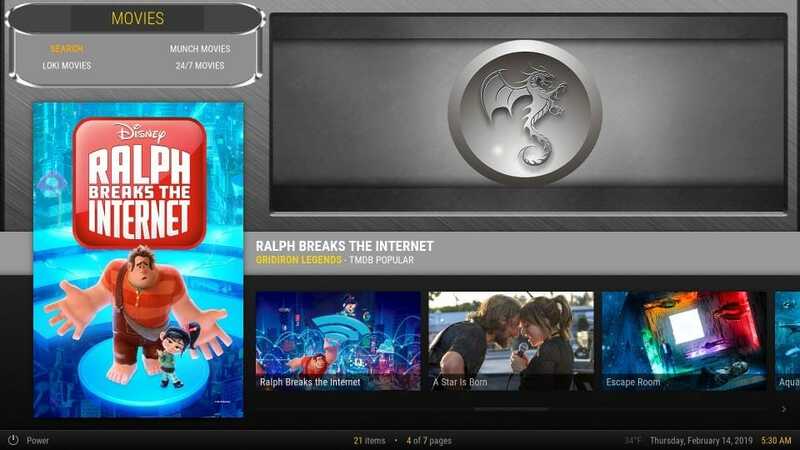 With a solid library of top Kodi addons like Yoda, Maverick TV, Exodus Redux, The Magic Dragon and a user-friendly interface, Xanax Kodi build makes it to our list of Best Kodi builds. OneNation Portal One Nation Portal brings to you a complete library of some awesome Kodi builds. Lightweight or feature-rich, you will find all types of builds here. There are more than 20 builds to choose from for both Kodi Krypton and Kodi 18.1 Leia. One of the very popular builds, also on our best Kodi builds list, Kodi Collusion is also the part of One Nation Portal builds. One Nation Portal has builds for all the Kodi device platforms. There are light builds suited for Amazon FireStick and other low-storage devices. If you are using Kodi on a computer or a high-end smartphone, you may use one of the more dynamic and feature-loaded builds. Each build is unique with its own set of features. But, largely, all the builds are the same in function and form. Diamond (also referred to as Diamond Dust, its former name) is easily one of the best Kodi builds presently. 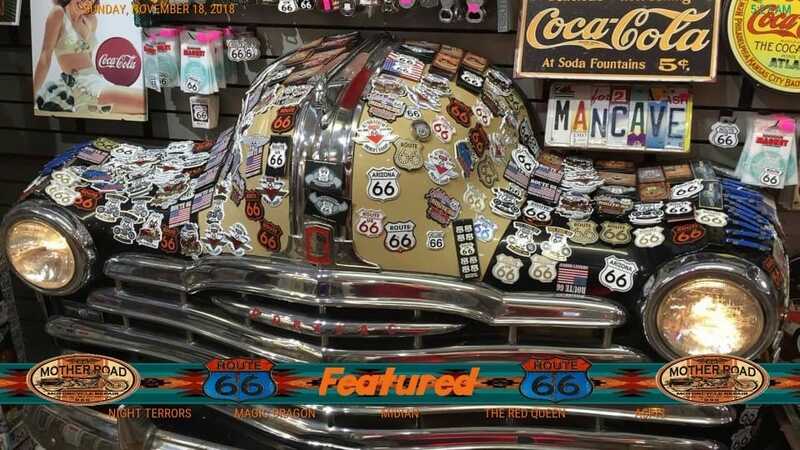 The build wraps an impressive collection of the finest addons including DeathStar, Monster Munch, SportsDevil, The Magic Dragon and many more. While most builds manage to deliver satisfactory on-demand content, they fall short when it comes to live TV. However, Diamond Dust has a bunch of awesome live TV addons like Oblivion Streams, that gives you access to live satellite channels from the USA and around the world. Diamond is not exactly a lightweight build. At over 350 MB, it looks moderately heavy. However, somehow it still offers fast and smooth navigation. You may notice some lags on FireStick and other low-spec devices, but I got used to it. Sadly, the build doesn’t have any special section for Kids. So, if you need to keep your kids busy, you may need to install the addons separately. But, Diamond Dust Kodi build has some special sections, such as Kung Fu, Urban, and TV/Tubi TV. These categories deliver special and unique content. Equipped with Sports Devil, Supremacy Sports, and Magic D. Sports addons, the Sports section also looks good. All in all, Diamond Dust is a solid build to have and deserves its place on this Best Kodi Builds list. Tomb Raider comes from the widely popular source Maverick Repo. Unlike many other builds we have tested, Leia 18.1 version of this build works smoothly on the upgraded Kodi platform. Tomb Raider may not be an exceptional build, but the fact that it works almost error-free on Kodi 18.1 where many others keep failing makes it stand out. The build covers all the basics. It is fast and works swiftly on my FireStick and computers. It packs a decent library of video addons, including some popular names like Exodus Redux, SportsDevil, Supremacy, Supremacy Sports, Yoda, Maverick TV, The Magic Dragon and more. 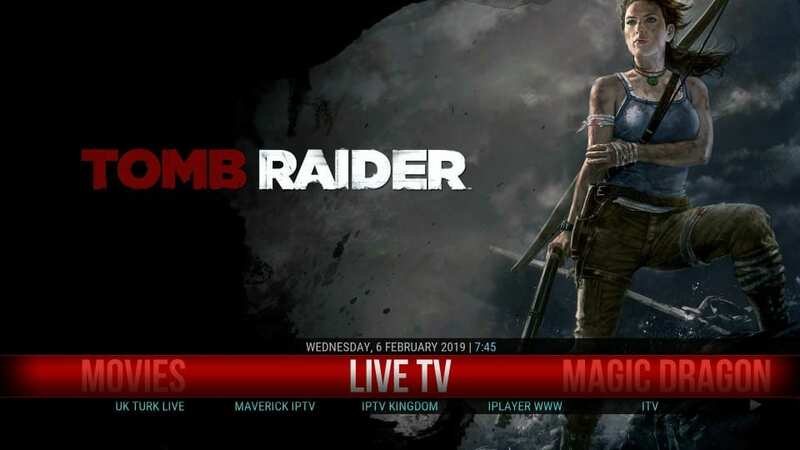 Tomb Raider Kodi build offers a simple and easy to use design. You could start streaming quickly. You will find various streaming options including Movies, TV Shows, Live TV, Kids Zone, Live Sports, Music etc. All in all, Tomb Raider is a good choice for Kodi Leia 18.1. Red Wizard is another build for Kodi 18.1 from One Alliance Reborn inventory. Even though the title of the build says “Adult Only”, it offers more than just the adult content. 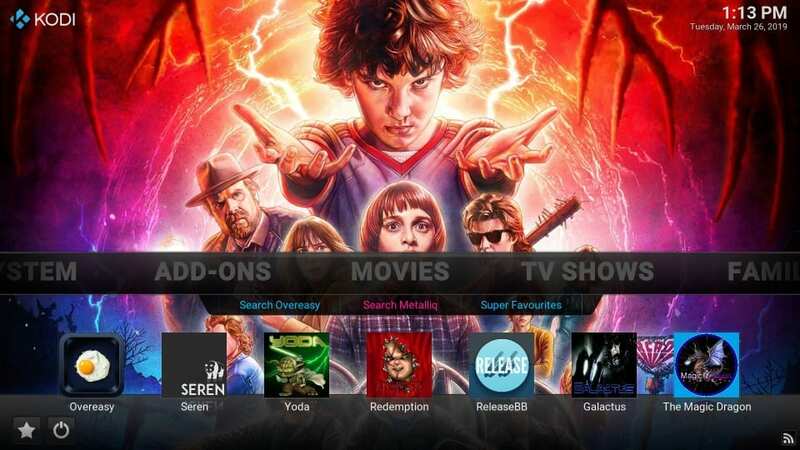 In fact, with addons like Exodus Redux, Yoda, Supremacy, Rising Tides, Deceit, SportsDevil, The Magic Dragon, you can stream movies, shows, live TV, sports and more. Of course, Red Wizard also has several adult addons. That explains why there is no section for kids. Being a lightweight addon, Red Wizard works great on FireStick and other devices with low-spec. Red Wizard is a pretty basic build with regular options. But, it is neat and clutter free and lets you watch your favorite content without any hassles. You might want to give it a try. Insomniacs is another storehouse for a couple of Kodi builds. At the time of writing, Insomniacs Wizard hosts two builds each for Kodi Krypton 17.6 and Kodi Leia 18. While both its builds are good, the Black and Gold Build clearly stands out. Even though Team Insomniacs doesn’t have a lot of builds to offer, the existing ones are good enough for most users. These builds are moderately sized to make sure they perform well on low-spec streaming devices like FireStick and Android boxes. However, they are still big enough to cover all the basics you expect from any build or even a little more. Black and Gold build is good for beginners, but the experienced users looking for a simple and light build may also find it interesting. SkyDark is a good-looking build with a decent set of features and a solid collection of video-addons for movies, shows, sports, and kids’ videos. Despite being more than 450 MB, the build manages to stay fast and smooth. SkyDark Kodi build has just about everything you could ask from a build. The Live TV section is weak, but I have noticed that that’s the case with most builds. There aren’t a lot of good Live TV addons. What impresses me the most about this build is its visuals. The layout is neatly organized and avoids any clutters. The main menu options are around the bottom and submenu items are displayed as a vertical list above the main menu. It has this modern feel to it, which is missing in most builds. All in all, it is a good build to try. Two Kingdoms Kodi Builds Two Kingdoms is not one build but a collection of multiple builds. I have installed and used some of its builds and was convinced that they should be the part of our best Kodi builds list. Two Kingdom includes builds like Fladnag Super Lite, T2K Simple Build, Last Kingdom Dynamiq Build, Fortnite Build and many more. Two Kingdoms has builds for all sorts of devices. For instance, the Fladnag Super Lite build is only 72 MB and works incredibly fast on low-spec hardware, such as Amazon FireStick. Fladnag Super Lite only has a bunch of addons, but there is enough to let you stream all your favorite movies and shows. If you are looking for a more feature-loaded build, you may try Last Kingdom Dynamiq or Fortnite build. The Two Kingdoms has something for everyone. MutliBuild Wizard is fairly new and it doesn’t have a lot of builds. In fact, it hosts just two builds for Kodi Krypton and one build for Kodi Leia. Silvo build is available for both versions of Kodi. It is a comprehensive, yet lightweight build that takes care of all your streaming needs. With plenty of preloaded addons, you can instantly start watching on-demand content like movies, shows & documentaries, live TV & sports, content for kids, and more. Initially, the build weighed more than 540 MB when installed, but it has been trimmed down to around 250 MB to offer better performance on FireStick and other devices with low-specs. The Silvo Build offers a neat, smooth interface with the regular layout you are familiar with. The home-screen of the build lines up the featured content. You can dig deeper into the build to explore more. It’s a good build. I have tried it and I am confident it must be the part of this list. BK Links Build is fairly new yet currently one of the most popular Kodi Builds out there. It packs the best Kodi Addons such as Monster Munch, Nymeria, Rising Tides, Supremacy, Yoda, Maverick TV, At the Flix, Deceit, Chronos, Exodus Redux, Loki, Redemption, SportsDevil, The Magic Dragon, WrestleManiac, etc. Furthermore, what makes it such a preferred choice for Kodi builds is because most of the streams work perfectly fine and this is not very common with most of other Kodi builds. Available for download at around 315 MB, the Big Links Build is a BBB (Big Beautiful Build). Thanks to the large file size, the layout and UI of this Kodi build is extremely clean and of great quality. Another amazing feature of the BK Links Build is that it is optimized for all devices. It works perfectly well on all devices, be it your Android device or Amazon Fire TV Stick. Although it is not an official Kodi build, but the developers are very helpful and responsive and you can easily reach out to them on Social Media Platform or other unofficial Kodi Communities. uKodi1 is an amazing developer and has been providing us with great builds for some time now. Its current offerings are Ultima, Star Wars (Kodi 18.1 Leia), Star Wars Futuristic (275 MB), ESPN, Dragon Fire, Fire Dragon, Comedian, Dr. Death, etc. among few others. All of these uKodi builds work perfectly well and are regularly updated and maintained by the developers. Another reason why I personally favor the uKodi1 builds is because of their great choice of background wallpapers and the super easily navigable menu. Probably the most popular of all the uKodi1 Builds is the Ultima. At just around 212 MB, the Ultima build offers almost everything ranging from TV Shows, Movies, IPTV, Sports, Animation and much more. It also includes some of the most popular Kodi Addons like SubZero, Maverick TV, Cerebrus, Elektra, Incursion, Neptune Rising, Dr Doom, Placenta, Oculus, Animania and much more. It uses the Aeon Nox Silvo Skin and even offers Netflix and Hulu in extras. The XENON Build is ideal for users who would like to install Kodi in Android TV boxes and Fire Stick devices. This Kodi build comes with a UI that features a section for popular Android APKs and Android devices that you can use to stream videos or play Android games. It’s easy to use user interface ensures that you don’t have to go out of your way when starting out on the build. XENON Build comes with numerous sections that will get every type of user covered. The TV Shows section has content for every type of people. If you love romance shows, you will get the content therein. In case you are an Action TV series junkie, there is up-to-date content for your binge-watching experience. In case you are a family, be sure to get some family-friendly content. Other sections include movies, sports, music, and much more. Just like TV Shows, these sections have been subdivided into sub-menus. For example, the sports section has sports categories like Gold, MLB, NFL, Cycling, Martial Arts, Live PPV Events, Fishing, and Hunting, among others. 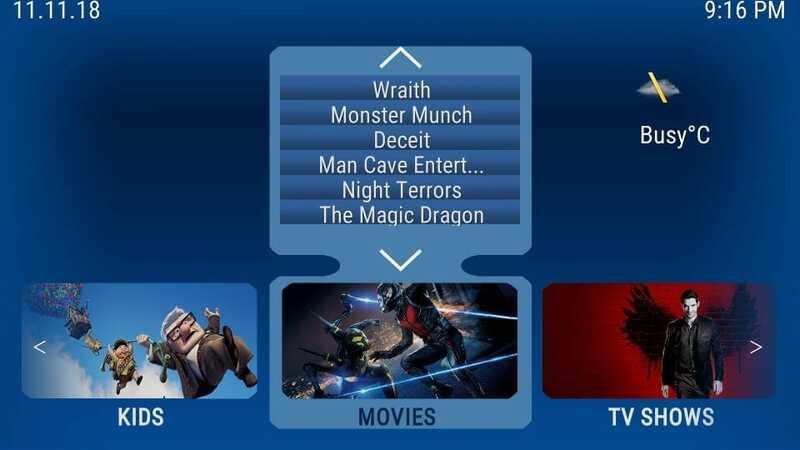 XENON Build features popular add-ons like Yoda, At the Flix, cCloud TV, Rising Tides, Monster Munch, and more. Plutonium build is the part of the huge arsenal of builds from EzzerMac’s Wizard. This Wizard has a huge line-up of in-house builds and it also catalogs third-party builds from other developers. Plutonium is easily one of the best Kodi builds in its collection. If you are into flashy, vibrant themes, there is a good chance you will like this build. 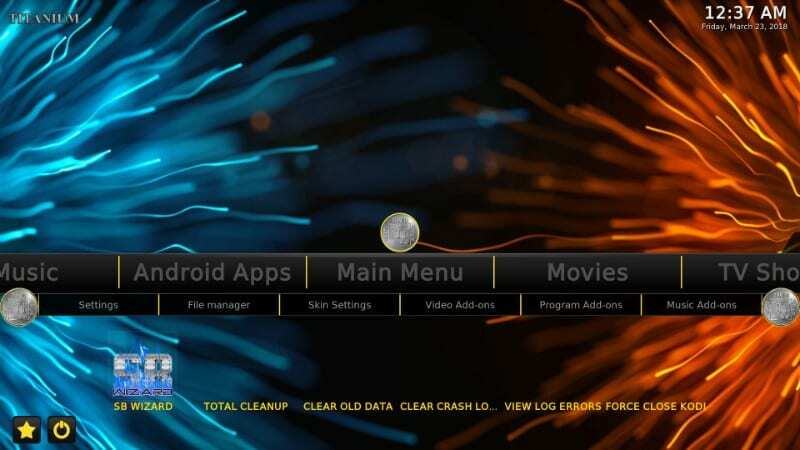 But, Plutonium Kodi build is not just about the visuals. 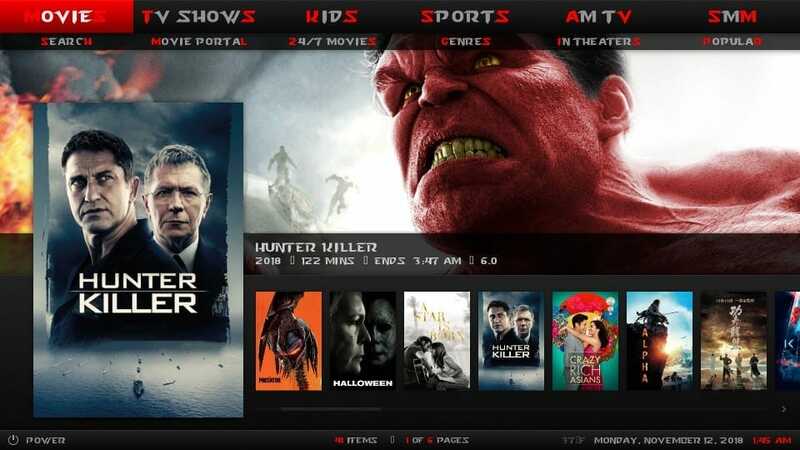 As you expect from any good build, it packs an array of popular Kodi addons for Live TV, Sports, Movies, Shows, and all sorts of video content. Loki, The Magic Dragon, DeathStar, Yoda, Rising Tides, SportsDevil are some of its featured addons. But, there are others too. Plutonium is a lightweight build with a download size of less than 160 MB. Therefore, it offers top performance on all platforms, even FireStick, which is considered a low-spec media device. Since it is small in size, the build doesn’t have a lot of features. Yet, it covers all the basics and makes sure you are never short of content for streaming. CellarDoor TV Wizard, part of the eponymous repository, rounds up some of the finest Kodi builds you will find these days. This Wizard is home to multiple Krypton builds. Each build merits a spot on our best Kodi builds catalog separately. But, since they are a part of a CellarDoor TV arsenal, I have taken the liberty to put them together under one roof. All these builds come with an impressive line-up of the latest and operational addons for a range of media choices including The Magic Dragon, DeathStar, SportsDevil, Wrestle Maniac, Monster Munch and many more. Considering speed, ease of navigation, stability, and collection of addons as parameters, I will put Dominus build ahead of the two. However, Infusion and Sonar are not too far behind. That’s my opinion though. Check these builds out and pick the one that suits you the best. One Nation Repository brings to you another fine build from its solid collection. Lobo Kodi build is less than 270 MB in size and offers decent performance on all devices. Whether you have Amazon FireStick, Android TV Box, or a Kodi compatible computer or mobile, Lobo build will work on all. On the addons front, the build doesn’t disappoint you. It carries a fair line-up of video addons for movies, shows, live TV, sports and whatnot. You can instantly start streaming with addons like Exodus Redux, Yoda, At the Flix and more. I don’t quite like the interface of the build due to the legibility issues. However, I got used to it quickly and after a while had almost no difficulty in interacting with the build and navigating to its various sections. Nova is another minimal build with a clean, uncluttered interface. For the most part the build is smooth and allows easy navigation. It also has a decent collection of video-addons. 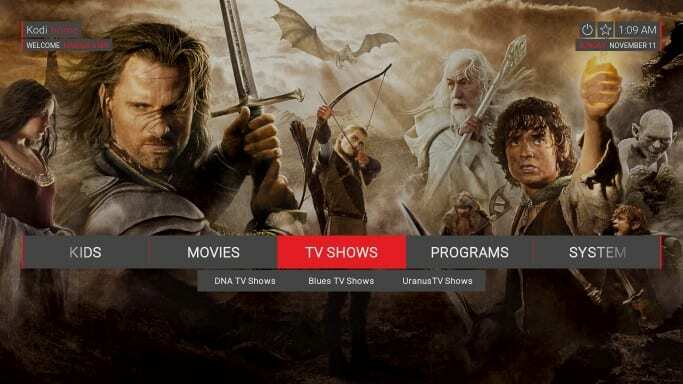 With addons like Neptune Rising, The Magic Dragon and The Kratos, you can stream your favorite on-demand movies and shows whenever you want. Powered by the very popular SportsDevil addon, Sports section also looks good. But, Live TV section is a little disappointing. While, there are several Live TV addons, none of them play the content consistently. At approximately 320 MB, the build isn’t lightest of all. However, it offers satisfactory performance. It may seem a bit slower on FireStick. But if you let the build finish the addon updates, you will notice that it gets faster. I really hope some new Live TV addons are added to the build soon. That will make it even more appealing. 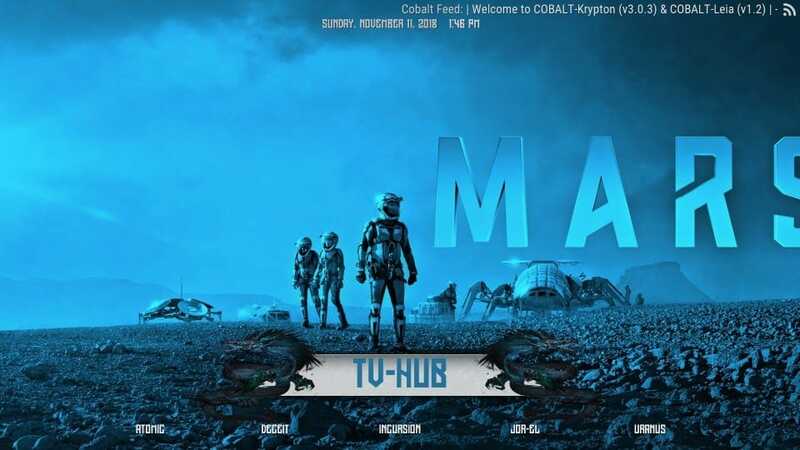 Blue Magic Kodi build is one of the latest additions to our catalog of Best Kodi Builds. This build comes from Luxury Build Wizard, which also hosts a handful of other Kodi builds for Kodi 18 and Kodi 17.6. Blue Magic has a sleek interface and a decent collection of video-addons for a variety of streaming options. You can get started right from the home screen by exploring the categories like Live TV, Sports, Kids, Movies, TV Shows and more. You may dig in deeper and browse the complete list of addons too where you will find popular names like Monster Munch, Supremacy Sports, Maverick TV, Yoda, DeathStar, MC 1080P, Deceit, cCloud TV, The Magic Dragon and more. 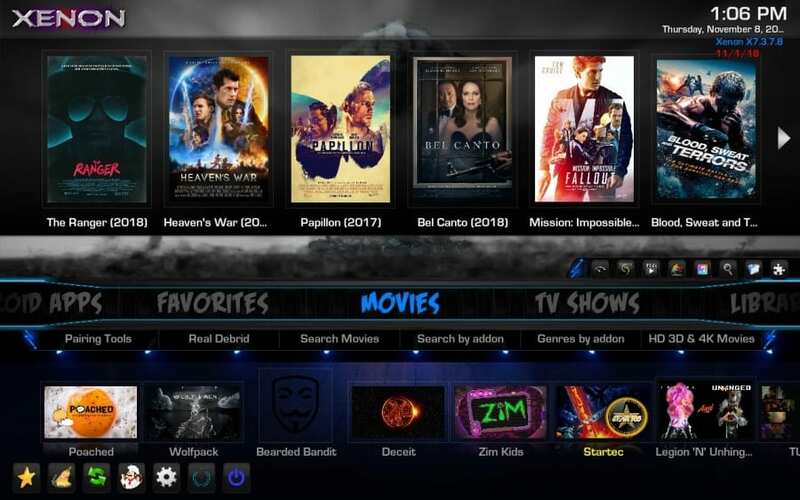 Equinox makes it to our list of top Kodi builds for its neat and hassle-free layout and minimal interface. It is a big-size build that will take nearly 660 MB of the device space after installation. That’s pretty big for a build and not good for low-storage devices like FireStick. It worked smoothly on my computer but was slow on FireStick. Equinox build features just a handful of addons including Monster Munch, Maverick, Pure Sports, Genie TV, Genie TV Sports, Uranus, Yoda, SportsDevil, etc. Sadly, there aren’t a lot of choices for Live TV and Sports. The developers have their in-house Genie TV app, but it requires a premium membership, which could cost you nearly $13 a month. The build doesn’t have a lot of addons and is not exactly what you call ‘feature-rich.’ That makes me wonder why does is it so big in size. It’s not a bad build, but there are better ones on this list. 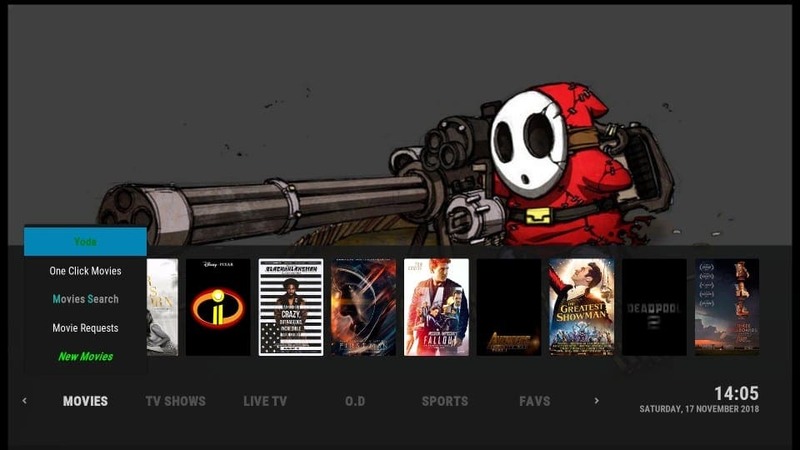 Sandman Kodi builds are the collection of builds from the trusted source Sandman. This source gives you access to a variety of Kodi builds that work on all the Kodi supported devices. Sandman may not have the greatest builds, but after testing and using them, I concluded that they have enough merits to be the part of this Best Kodi Builds library. Sandman builds are lightweight. This makes them suitable even for media devices with modest specs, like Amazon FireStick. I noticed some stability issues though, as the builds crashed a few times. It usually happened when it took too long for the builds to process a request. But, it does not seem like a huge problem to me as such instances were only occasional if not rare. You will find a satisfactory line-up of addons with Sandman Kodi Builds. Some have a better collection than the others. Overall, Sandman builds are quite alright. Give them a try. Duff Light is an incredibly lightweight build, which is perfect for TV streaming devices like Amazon FireStick and Android Boxes. You could install this build on your computer as well, but it wouldn’t be great to interact with. When you install it on your PC, in place of mouse cursor you see a little flag saying that mouse is not supported. You may still use the mouse, but navigation wouldn’t be easy. In fact, navigation isn’t very smooth even without the mouse. It takes a bit of doing to get to the items you want to access. Duff Light is a minimal and neat build. The developers have removed all the non-essentials to keep the build lite. Therefore, you wouldn’t find a big collection of addons here. But, it has some good working addons like Deceit, Kratos, Loki, Deceit Sports etc. They should be enough for most types of videos. If you need more, you can always install additional addons. If you are looking for a lightweight, fuss-free, simple and neat looking build, you may want to consider Duff Light. Just like the “No Limits Magic Kodi Build,” the Hard Nox build uses the Aeon Nox 5: Silvo Skin. This Kodi Skin offers you a futuristic appearance. Just like all the other Kodi builds, it comes with awesome add-ons like Mancave Movies, Incursion, At the Flix, Deceit, Uranus, Monster Munch, Neptune Rising, and Toonmania among others. The menus are located at the bottom of the screen. Among the notable sections include TV Shows, 24/7 content, Popular content, Movies, and Kids content. Each of the section is further niched down to subsections in a move that is tailored to enhance the user experience. One Alliance Reborn is a small, yet solid repository of Kodi builds. As I write this piece, the One Alliance Reborn Wizard hosts four builds – Arctic Mini Build, 1Attraction Build, and Real Wizard Build (Adults Only), 1Amazing Build. Arctic Mini build’s design is suited for touch and remote-friendly devices and it is available only on Kodi 17.6. The build says it does not have mouse support, but I could use it on my computer, albeit with a little discomfort. So, it’s best you use it on your FireStick or mobile. 1Attraction build, on the other hand, is more user-friendly and suitable for all devices, including your computer. It also has a better looking and easier to use interface. Again, 1Attraction is also supported on Kodi 17.6. Red Wizard is a decent build too, and is the only one available for both Kodi 18.1 and Kodi 17.6. 1Amazing Build is supported only on Kodi 18.1 Leia. Both, Red Wizard and 1Amazing Builds have been mentioned separately in this article. 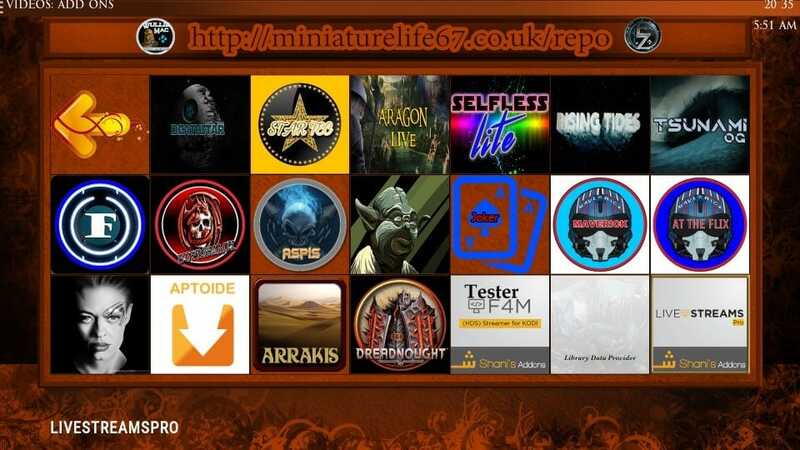 Al these builds carry a decent collection of addons including DeathStar, Yoda, Rising Tides, Deceit and many more. The preinstalled addons give you access to a variety of media streaming, including sports, live TV, shows, movies, and content for kids. EzzerMacs is a storehouse for dozens of Kodi builds, both in-house and from the third-parties. Whether you are using the latest Kodi 18 Leia or still streaming on Kodi Krypton, there are plenty of builds to pick from. The Wizard comes in two variants – EzzerMacs & EzzerMac. The distinction in the name is so small, I almost missed it the first time I looked at it. But, there is plenty of difference in terms of what they offer. EzzerMacs is your regular wizard with a rather text-based interface. It gives you access only to the in-house builds. 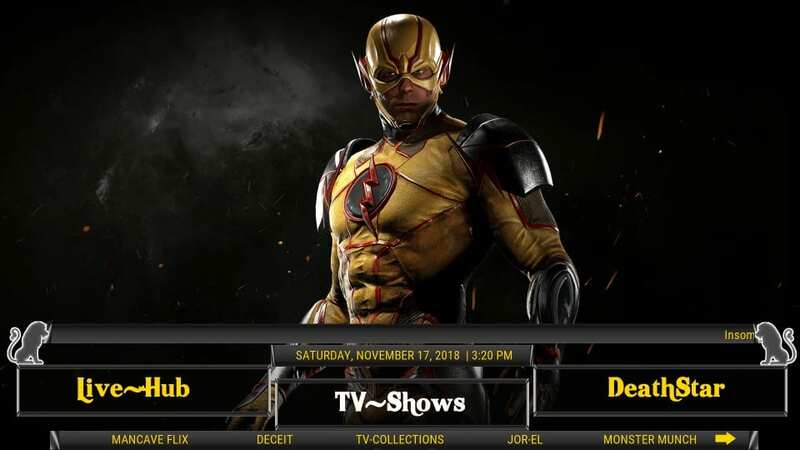 EzzerMac, on the other hand, is more graphical and interactive and besides in-house builds, hosts dozens of Kodi builds from third-party developers. If you are looking for a source with lots of working builds, EzzerMacs is what you would want to try. The Arc is another wizard with a build menu that carries a bunch of in-house builds and many third-party builds from various developers for both Kodi 18.1 and Kodi 17.6. This wizard sources some good quality builds for a variety of Kodi supported hardware platforms. From lightweight to feature-rich, you will find all kinds of Kodi builds here. Most builds in The Arc’s inventory are multipurpose, offering a range of preinstalled addons for Movies, Shows, IPTV, Sports and just about everything else you would want to stream. DeathStar, The Magic Dragon, SportsDevil, Exodus Redux, Deceit, Maverick TV are some of the addons you will find in these builds. The Arc Kodi builds are delivered over an interactive interface of the Wizard, allowing you to find and install them quickly. The Arc Wizard is a good store for builds and I recommend you give it a try. Apart from streaming and listening to awesome music genres, you can download music with Kodi. Most people think of Kodi as just a TV. However, it is more than that! When equipped with the right add-ons and features, Kodi will transform into a hub for all your digital media needs. Among the brilliant features that it offers is the ability to download and store music that you can play afterward. All you need is to install the right music add-ons. Actually, with such music add-ons, you will be getting the same services as someone who has subscribed to Spotify Premium or Apple Music. Remember, you will be getting these great music genres FREE of Charge! Furthermore, you can download and play podcasts in the same way. You will need a proper addon that has been specifically designed for podcasts. Which teen doesn’t like video games in today’s world? Well, a very small percentage. However, if you are wired like me, you would rather spend your slow-evenings and weekends playing video games in the basement. With Kodi, you don’t need to invest in a PlayStation. All you need is a nice gaming rig and the right add-ons. The video games are available in different genres and formats. From retro video games to Android apps, you will get to enjoy a nice gaming experience from any Kodi device! Gone are the days when our parents would store hard-copy pictures in booklet albums. I remember we would spend a few hours after meeting our relatives going through these albums while asking questions like where were you in this day? Today, you only need a smartphone and a storage device to take and store your unforgettable moments. During visits, all you need is to provide people with your library of awesome videos and pictures that have been geotagged. With Kodi, you don’t need to pay for a service that will allow you to create a picture or video library. The platform offers you with add-ons that will help you upload, edit, and save pictures in slideshow libraries. These photos may also be used in creating Kodi backgrounds and skins on your supported Kodi device. Moreover, you can also save your short video content in a similar manner. Last but not least, you can view weather apps and social media platforms via Kodi enabled devices. Within Kodi, you can download YouTube, Pinterest, Twitter, and Facebook among other social media platforms. Such a move will help you get live notifications and feeds within your Kodi application. I hope you have managed to get some of the best Kodi Builds that captured your mind! The next step is to follow the guides on our site and safely install them. Remember, you will need to get a good Kodi VPN for your personal safety, encryption, and anonymity! In case you are new in the Kodi world and would love to try it out, I would advise that you get the Amazon Fire TV Stick. You can easily jailbreak FireStick for streaming with Kodi builds and it is not even illegal. No Limits started acting up and once I tried to do a fresh install it will not open and states url error check log. I can add the program but once trying to select a server, that message appears, no matter what server for 18. Hi, No Limits build is not installing on Kodi 18.1. It is working on Kodi 17.6 though. I hope this is fixed soon. I just purchased 2 Toshiba Amazon Fire TVs. Is there a way to add Cinema, Kodi, Mobdro and other APKs to it? I have Firesticks on both of those TVs, just so I can access KODI. I’d like to eliminate the Firesticks, if I can have my favorite APKs and builds on the Amazon television. I use Titanium on my Firestick, recently the Live Tv sections in the Supremacy and Deceit add-ons inside the build have stopped working. Has anyone else had this problem! Actually Supremacy has stopped working all together and I used it the most and now it says Supremacy error whenever I try to go in. Any ideas? 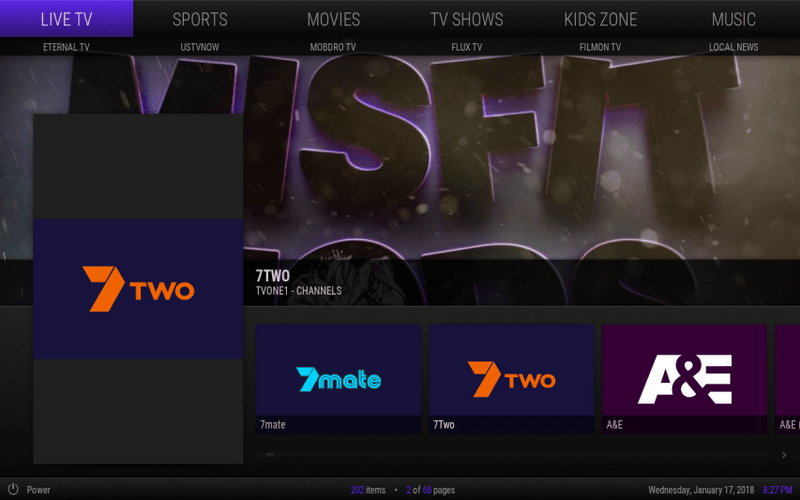 Hi Jenny, I just checked and found that some Live TV options within Supremacy and Deceit aren’t working but many are. I have found that Live TV usually works better with a VPN. Also, to use the Live TV section on Deceit, you will be prompted to install additional addons like Live Net TV, Swift Streamz, etc. Install these addons when prompted after clicking their names. No Limits Magic doesn’t work anymore. It’s completely broken. The repositories are broken and so is the install wizard. Is there a fix yet?!!??? Hey, I just installed No Limits build and it works fine for me. You may have run into a temporary problem. Please try again and let me know. I just installed No Limits build about 5 days ago. It works fine. Kryptonic got updated to 18.1. Should be ready to download on xbox one or android devices. I Had krytonic for kodi 17.6 worked great ONE click…did not have to go thru the different inks. t. Not available for 18 I think..Anything similar ?? I just installed the No limits build and I got v. 12.0, which is a 2014 version. The previous version I had with Kodi 17.6 allowed me to stream current episodes and movies. This one only allows me to stream content from 2014. Do I need to perform an additional step? Any help would be greatly appreciated. Hi, the Kodi 18 version of the build has plenty of addon with the latest content. Go to the Video Addons section from the main menu and try the addons like Exodus Redux, Yoda, etc. Download Kodi 18.1 and the New March 2019 No Limits Build 12.1, works better than any other No Limits Version I have ever had. For what reason does the no limits build starts the download but does not complete it? Since there is no comparison between these builds, can you suggest something for me to install on my 4K firestick from them? I have no kids and don’t care for some adult content. What I care most is live TVs and that the build updates regularly. Hi Patrick, I did all as you advised and reinstalled Titanuim using fresh install and hey presto my TV search has started working. Many thanks for your guidance and patience ? You’re doing a great job.?? Hi Anakha, glad to know we could help. i have all 3 , android 128 , firestick 4k and Nvidia. you have absolutely no clue, lol. ive been doing this since hacking Dishnet tv receivers. Firetv 4k is a better product , also Apk is the way to go. Kodi is now in third place for watching all media streaming. Hi Patrick I am running VPN, I’m using NordVPN. Is there a way to reinstall titanium which will clear any error logs? I must admit first time I installed titanium I ran a tv search right away with out waiting, but on the 2nd install I did wait till all the app updates completed but still had the search failing. I,ve noticed supreme had a clear cache icon which I had run but did not resolve problem. I saw a maintenance icon if I ran that would that resolve any download problems? Hi Anakha, to reinstall, first go to Main Menu > Program Add-ons from the Titanium Build home-screen. Open Supreme Builds Wizard from the list of the addons. Next, Click Builds followed by Titanium Build. Make sure you choose Fresh Install so that Kodi is first reset to the default configuration before reinstalling Titanium Build. Yes, you may try the Maintenance section as well. Besides Clear Cache, also choose the option Clear Packages. If it still does not work, you may try reinstalling the build. Hi Guys, just installed Titanium Build on my new Fire stick 4k on kodi 17.6. Search works on Movies (yoda) and streams movies fine just does not search or stream for TV shows. Any ideas how to resolve this issue? I have uninstalled kodi 17.6, reset stick to factory settings and reinstalled kodi then reinstalled Titanium. Same thing just does not search or stream any TV Shows. Hi Anakha, firstly, when you run the build for the first time, please allow it some time to update its addons. This may take several minutes. I just tried Yoda and it pulled streams for me for TV Shows as well. In my personal experience, addons perform better when used with VPN. That’s because your ISP is likely blocking the streams. I almost always get more streams when I use it with VPN. Great Instructions! My question is: Is a build really necessary? Can I just run Kodi without a build is what I’m asking. All I really want to do is watch movies with it. The builds seem to take up alot of memory on my Fire TV and I don’t have alot to spare. Hi Bill, you don’t necessarily need a build to watch movies or TV shows. You just need the right addon for it. I get to ” Supreme Builds Repository Updated and then I get stuck in a loop. Please help. Hi Robert, when you try to install an addon or repository that you have already installed, you get the ‘Add-on Updated’ notification. You may go to Kodi home-screen and navigate to Add-ons > Program Add-ons to access Supreme Builds Wizard. If you were trying to do something else, let me know and I will help you accordingly. Patrick, thanks for the code. I downloaded the Titanium build and was trying to add (.)(. )Tissue time (.)(.) from the video add-ons. However, when I try to add it, it is asking for a password. Do you happen to know the password. Hi Richard, try the default PIN 2017. It worked for me. What build, if you know, has the iptv apk app gears tv?? 1 How Can You Use Kodi? 2 What is A Kodi Build? 3 Which is the Best Kodi Build? 5 What Else can Kodi Do?